This report comes with 10% free customization, enabling you to add data that meets your specific business needs. The Global Carbon Capture and Storage market is expected to grow from $2.253 billion in 2016 to reach $4.205 billion by 2022 with a CAGR of 10.9%. Rising demand for Co2-EOR new techniques, increasing number of environmental issues are propelling the market growth. However, huge initial cost required in implementing carbon capture technologies and strict regulations are some of the factors hindering the market growth. Based on the end user segment, power and oil and gas segment leads the market globally and the growth of this segment is attributed to rising focus of emerging countries in minimizing co2 emissions during power generation. On the other hand, in application segment enhanced oil recovery (EOR) process is expected to grow with a high CAGR during the forecast period. The growth of this segment is rising as c02 is widely used in oil and gas companies to reduce gas pressure. North America leads the market globally due to the growing number of oilfields in this region. 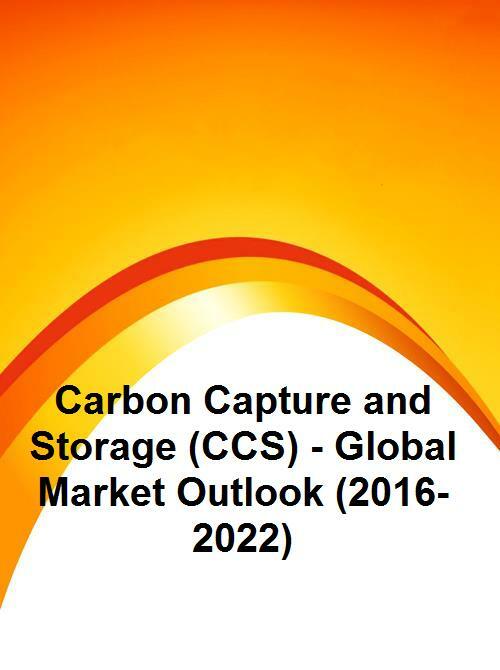 Some of the key players in global carbon capture and storage market include Siemens AG, Mitsubishi Heavy Industries Ltd, Hitachi Ltd, Aker Solutions, Fluor Corporation, Honeywell International Inc, Linde AG, Exxonmobil Corporation, General Electric, Halliburton, Schlumberger Limited, Shell Global, Statoil, Dakota Gasification Company, and Japan CCS Co., Ltd. Please Note: This report will be delivered within 48 hours of ordering. 11.2 Mitsubishi Heavy Industries, Ltd.
11.15 Japan CCS Co., Ltd.